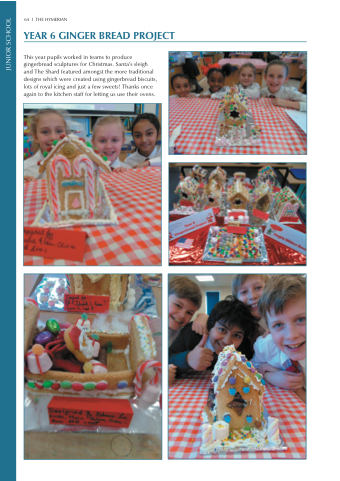 This year pupils worked in teams to produce gingerbread sculptures for Christmas. Santa’s sleigh and The Shard featured amongst the more traditional designs which were created using gingerbread biscuits, lots of royal icing and just a few sweets! Thanks once again to the kitchen staff for letting us use their ovens.